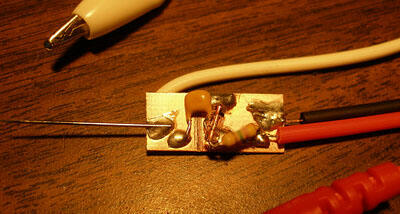 This Circuit measures RF voltages beyond 200MHz and up to about 5V. 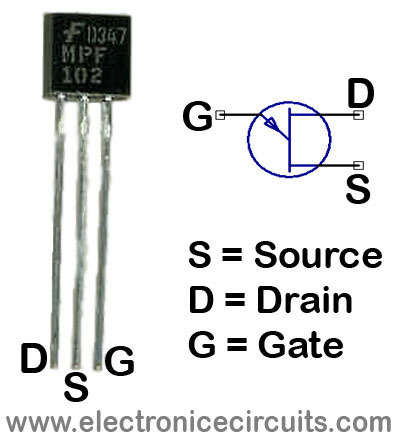 The Diode should be mounted in a remote probe, close to the probe tip. 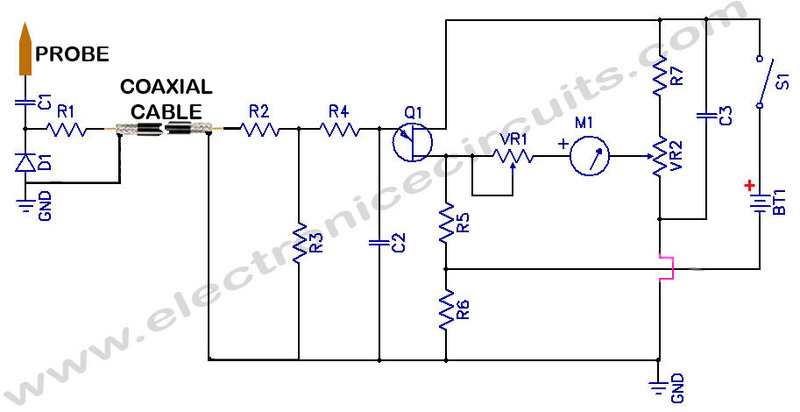 Sensitivity is excellent and voltage less than 1V peak can be easily measured. The unit can be calibrated by connecting the input to a known level of RF voltage, such as a calibrated signal generator, and setting the calibrate control.